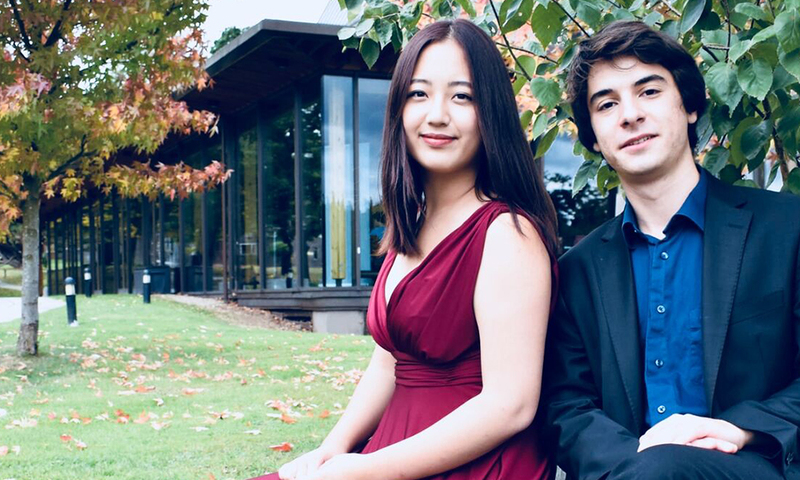 A violin and piano duo from the world-famous Yehudi Menuhin School will perform at Clapham’s Omnibus Theatre on 10 February. Their programme will include favourites from the classical repertoire including works by Mozart, Brahms, Ravel and Bach. South Korean violinist SongHa Choi is the Winner of Senior 2nd prize and the Senior Audience prize in the 2016 Menuhin International Violin Competition. Additionally, she has won the 1st prize at the 2015 Jeunesses Musicales International Violin competition and the Grand Prize at the Berliner International Music Competition. She has performed in Wigmore Hall, Royal Festival Hall, the Concertgebouw and the Berliner Philharmonie as a soloist and a chamber musician. Turkish pianist Can Arisoy gave his first concert at the age of 7 and his first orchestral concert as a soloist at the age of 11 with Bilkent Youth Symphony Orchestra. In 2016 he won the 2nd prize in the Beethoven Intercolligate Piano Competition in London and Nilüfer International Piano Competition in Turkey. In 2018 he played Beethoven 5th Piano Concerto “Emperor” with The Dorking Chamber Orchestra. This entry was posted in Concert, Theatre by Blogger. Bookmark the permalink.